In the latest edition of the 3 And Out podcast, Bob Sansevere and I dig into the recent U.S. Supreme Court opinion of Matal v. Tam invalidating the disparagement clause of the Lanham Act on First Amendment grounds. The decision dealt with a proposed trademark for a band name but it has implications for the NFL’s Washington Redskins, who saw their trademarks invalidated by the Trademark Office in 2014 as a result of a petition based upon the disparagement clause. Bob and I also touch on Michael Floyd’s latest legal headaches brought about by his claimed overconsumption of Kombucha causing him to fail an alcohol test, as well as the discipline meted out to Louisville basketball coach Rick Pitino – father of the University of Minnesota basketball coach, Richard Pitino – for the program’s use of strippers and prostitutes in its recruiting activities. 3 And Out is presented by The BS Show and is heard every Wednesday on the Tom Barnard Podcast Network. 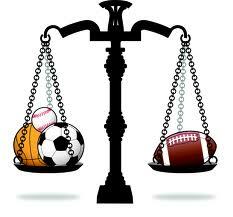 Past episodes are archived on the Sports and the Law page of Jeffrey O’Brien Today.